When I called Texas A&M, I actually got a human being that knew the answer to my question (and spoke English!). It was like the good ol' days when you got a person and not a recorded message. When I sent an email asking a question, I go a well thought out 4-paragraph response. I was shocked and thought Comcast should get this group to run their customer service. Then we had a misunderstanding at Callaway house and instead of being defensive, the sweet girl said, "lets find a happy solution." Meanwhile I am still trying to beat my $600 deposit out of the Towers at UT. I have emailed the same document 4 times there, and they seem to conveniently never get them. When we went to visit A&M and buy 6 shirts at the bookstore, a charming young lady said "you must be big A&M fans!" The truth was, we had nothing in our house that had burgundy in it...oops. Did I say burgundy? I meant maroon. People still have to correct me. I was driving away in my Sequoia and instead of feeling bad about the poor gas mileage, I noticed trucks towering over my SUV, their wheels level with my windows. In College Station, my SUV is practically a Prius. My son Nick moved in 3 weeks ago and I was once again surprised at how nice everyone was. What is in the water in College Station, and can we get some added to Houston’s? We booked a hotel for the night and we were shocked that it was under $100. Our other child is at TCU and Marriot has a monopoly on the town, so even the 2 star hotels are $200 per night. Even going to the movies is only $4.50 in this town. When I read the Hilton had donated rooms to Barbara Holdworth's friends and family, I was not the bit surprised. By the way, there is a fun run to help the victims of this tragedy (here is the link if you would like make a small donation). That is the spirit of this school and this town. Mark told Nick that college is not just going to 13th grade, and he needed to branch out and meet new people. So on a night when he had nothing to do, he went to a fraternity party where he did not know a single person. When he called to report to Mark that he had branched out, he once again said, "everyone was so nice." He said he met the nicest guy from Bolivia. Nick had worked in an orphanage in Bolivia this summer and fell in love with the country. The guys at this fraternity told him he was always welcome to come by. Dang-what a good group of men. Now comes the big game day and my son sends us pictures from the game where he is sitting on the 50-yard line. We had joked with him the day before that his student seat would be so high up, he would be able to wave to the Southwest Airline passengers as the plane flew by. We texted back and asked him how he got a seat on the 50 yard line. He texted back and said "People are so nice, they asked if we wanted them to scoot in tight and sit with them." I asked if they were students and he said, "No. Just nice parents/alumni." Once again: "people are just nice." Then we got an even bigger shock, he called to tell us he had never been happier in his life-"he loved this place." 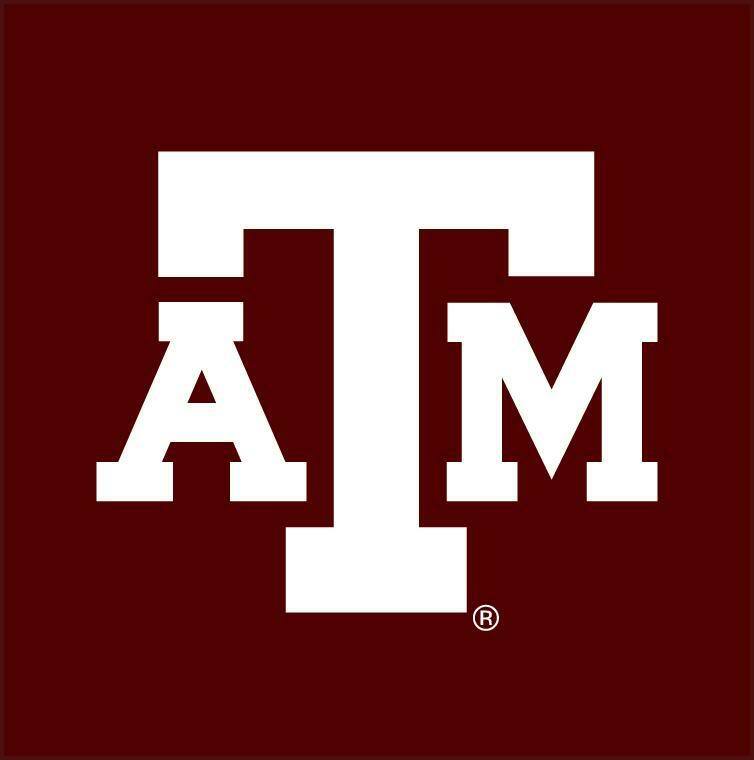 I suspected we were becoming an Aggie family when my husband just had to watch the game and yelled for the Aggies just like he had for the Longhorns for so many years. But then I knew we had converted him when he took me out to dinner last night instead of watching the UT game. This morning I checked my Facebook only to see a picture of Nick at the game. I think when kids get to college it becomes uncool to post pictures on Facebook. Either that or my kids have chosen some filter that only lets me see a few. That would not surprise me, as I have been unfriended twice by my kids for posting comments on their pages. But what they don’t understand is a picture on Facebook of them is like the rare letter you get from camp. It makes your day. I feel A&M is teaching something so lacking in today’s world... that men should be men. I am all for womens' equal pay and equal rights, but I am old fashioned in that I want my door opened for me, the trash taken out, and a man to be a man. Welcome to Aggieland! It really is its own slice of heaven. Glad to know you are enjoying it! If your son needs anything, let us know! Glad yall are apart of the Aggie family! Welcome! God bless & gig 'em! Hook 'em and Gig 'em. God bless Texas! Good job Sissy and I'm proud of you Nick. This was awesome! I'm so glad your family has joined the Aggie family! I joined the first week of school!! Welcome to the Aggie family! Gig'em! Welcome to the Aggie family! Glad to have y'all! Welcome to the Aggie Family! And I hope your son is having a great time so far! Time flies, and before you know it you'll be returning to get his Aggie Ring! This was forwarded to me -- loved reading it! Gig'em! My brother and I both went to A&M despite that fact that we grew up in Austin and my Mom is a UT grad! The Aggie family is a great place to be! Welcome to the Aggie Family. I hope your son has a wonderful college experience in Aggieland. "From the outside looking in you can't understand it, and from the inside looking out you can't explain it." But when you get to explore and experience Aggieland you can't help but fall in love with not only the traiditons, but the spirit of Aggieland. God Bless & Gig 'Em. How wonderful to read this! A&M is truly a special and very unique place. May we always maintain the culture I've known for 50+ years. 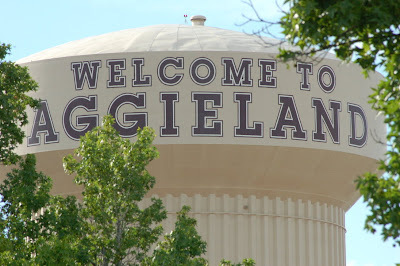 And ditto what Lauren said: "WELCOME TO AGGIELAND"! It's really true - "After they've boosted all the rest, they will come and join the best, for we are the Aggies - the Aggies are we, we're from Texas A.M.C." It feels like 'Home' ought to be. Welcome home, and Gig 'em! Glad your experience was a good one! Welcome to the Aggie Family! Welcome to the Aggie family! So glad to read this. "From the outside looking in you can't understand it, and from the inside looking out you can't explain it"
My step-dad went through a similar experience. My mom had attended both universities, so she understands the Aggie spirit. She kept telling my step-dad that he had to go to one of the games and he agreed, for the sake of supporting me. I was a little scared, as I live in a house with burnt orange beach towels, t-shirts, and even a little Bevo bowl for our salsa. They were seated on the other side of the stadium, so we separated before the game and I didn't see them again until half-time. I went over to check on them and found my step-dad wearing a Maroon Out shirt, GIG 'EM baseball hat, and a big smile. The point: You have to go to a game. It doesn't matter if it's not a big game or we're losing... that stadium comes alive with the spirit of Aggieland and it's contagious. What a great story! I can totally understand. We will definitely get to a game. Your family reminds my of my brother and sister in law but they do not have a salsa bowl-great Christmas Idea! ElleSchneiderHof...a point of correction...Aggies never "LOSE", we just get outscored or run out of time....simple as that....rain or shine, we stand by our team, our students, and our traditions! Loved reading this! Aggieland is a special place with special people.. Welcome to the Aggie Family! I am now more impressed than ever with A&M. The emails and comments have been so welcoming. Thank you! It is a very special place! I just wish the football tickets were easier to come by. I was joking because I checked STUB HUB for LSU tickets and I think the Laker's floor tickets are cheaper! But they don't charge $50 to watch a game on TV like the Longhorn Network!!!! Too classy for that. Thank you so much for posting. It is a great place. Great Post. Welcome to the Aggie Family. The Florida Gators that were tailgating before the game a few weeks ago said the same thing! They warned us to be ready for animosity at other games. I've lived here since 1981 and it is a terrific place. So glad my daughter shared your article with us. Welcome to the Aggie family. Do look into joking an Aggie Moms Club. More nice people. And the boutique at Parent's weekend is not to be missed. If you want a hotel for that weekend book now though. The LSU game will be impossible to get tickets for, but the others should be a possibility. Welcome to Aggieland, and the Aggie family! My parents didn't go to college, didn't understand A&M until both my sister and I went. They bleed maroon now. We're glad to have you - gig 'em! I am sure your parents are over the moon proud of you and your sister. Awesome! Welcome to our family! That was a great post. It made me laugh and in couple of places it also made me tear up. Aggieland is a special place and we love sharing it. Now with that said, don't be too hard on your Longhorns, there are some pretty classy people there too. I remember when the bonfire fell ( I'm tearing up as I write this), you all had a candlelight vigil in Austin the night before the game foregoing your usual Hex rally. The next day the performance by your band honoring the 12 we lost was so moving that most of us were unable to speak, I cried during the entire performance. On another occasion, much happier and more recent was the band wishing us well as we move to the SEC. I wish your son the best of luck and hope you all can come and enjoy a game as an Aggie parent! I work for the Great Orange Menace, but I bleed Maroon ('02 and '13). There really is a spirit in Aggieland. One of the greatest strokes-of-luck/grace I've had in my life was to end up at A&M. My first question to my advisor during orientation was "What transfers to UT?" but it didn't take long for me to drink the Koolaid and fall in love with the place. I love that it teaches men to be men, but it also teaches women to be women, not girls. I love that it teaches all of us to be part of our community and stands for values like respect and loyalty. I also love the fact that it's still a place where real, flawed people are part of the family and that means it's a place where there is always room for improvement. Living in Austin and being a hippy liberal in many ways is great, but living in Aggieland taught me how to disagree with dignity and respect for myself and the people I disagreed with. I don't hate Big Orange so much anymore (woohoo for paychecks! ), but I still feel the spirit of the Aggie family is one that can ne'r be told. What an incredible post. It is a very special place. the Aggie Family is huge. When I posted this I thought I would have my usual 1000 views not over 30,000 and the most welcoming comments (including yours). I am so impressed that a school this size is able to teach" respect and loyalty" That is what makes A&M extra special. Great post, really enjoyed reading it. I'm a Gator fan who just visited A&M for the first time a few weeks ago. I had the same experience... friendly nice people everywhere you go. And I was wearing the opposing team's colors! I'm glad they are in the SEC and think they will be a credit to our conference. Come back to Texas any time! You are always welcome here! The games on the longhorn network are free. I can understand that not having the longhorn network is frustrating; I went through that last year. However only two games were on LHN exclusively this year. In the past some of the first games of the season were not televised at all or only on PPV. LHN is a powerful tool for recruiting and brings exposure to many sports that are often never televised. It brings money to the athletic program and to the university for non athletic programs. Also you have to remember that each time a game, match, or meet is aired, there is at least one other school that is featured and receives attention that may never have been otherwise. For these reasons the LHN is truly great and worth some of the frustration. I'm not sure what it had to do with the rest of your story. Another point on this issue, back in 2009 two Aggie games were not televised at all. As long as the LHN is around this will never happen again. Sign up with Uverse or find a friend or bar that already has it next time an LHN exclusive game is on, or maybe your provider will carry it next year. Another comment I have is your issue with "Towers" and the deposit. Are you referring to University Towers? When I was a student these were off campus dorms owned by a private company not affiliated with the university. If so, I'm not real sure why you bring it up here. Also it has in the past been a notorious dorm for problems. 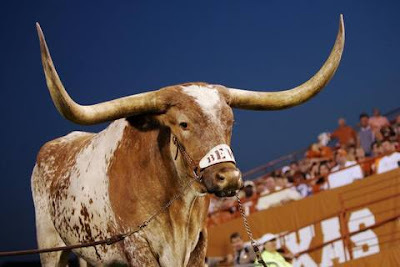 In my previous comment, I should have stated "As long as the LHN is around this will never happen to the Longhorns"
Of course the LHN has little impact on the television schedule of Aggie games. I understand the point you are making with the dorm point, but just for clarification, Callaway House is an off-campus dorm as well so it was an apples-to-apples comparision. But Towers should not be used as an example of the UT experience. Most Aggies would have no idea that this dorm is a private and notorious dorm. I lived near this dorm back in 2001 and there were many issues back then. I'm so glad to hear this! My dad was an Aggie, I'm an Aggie ('81) and my daughter, like your son Nick, just began her freshman year as an Aggie. I've missed Aggieland so very much since I graduated that I've had to restrain myself from inviting myself to visit my daughter too much. It truly is a very special place on this earth! Welcome to the family. We are stopping in A&M to have lunch with my son on our way to Ft. Worth-My son calls me Stalker Mom!! Sorry...my previous comment didn't post as a reply so I simply moved it to the correct location. THANK YOU for this! Today's my bday and this post was an unexpected surprise!!! :) Even got me a bit choked up! Bryan/College Station is a wonderful place and the Aggie family is second-to-none! I'm glad your family is having a good experience and that your son is enjoying being a PROUD MEMBER OF THE FIGHTIN' TEXAS AGGIE CLASS OF 2016! AAAAAAAAAAAAAAAAAAAAAAAAAAAAAAAAAAAAAA!!!!! Welcome to the Aggie Family and GIG 'EM!!! Happy birthday and no you made my day. Whoop for all of the good experiences your son and family is having related to Texas A&M. This makes me so proud to be an Aggie. My brother went to UT and it was the perfect fit for him, but when it came time for me to go to school I chose A&M. Both are great schools with their own unique atmosphere and personality and I love seeing the same mutual respect for each school from another "house divided". a house divided? I SEE YOU HONEST ABE! Welcome to Aggieland! Your post is making it's way all around FB. I was a freshman in 1990 and didn't know then how much my life would be changed by my Aggie Family. The men still give up their seats for women on the buses, strangers say, "Howdy" as you walk across campus. People open doors for you off campus as well as on campus. We welcome our opposing teams' fans when we see them in public. We stop and help each other when stranded on highways out of town. I was heartbroken when I didn't get a job in Aggieland upon graduation. I vowed to come back some day. It took me 8 years, but I did it. I am raising my 4 kids here because we have the best schools and the best community atmosphere. Don't be surprised if one day you feel the urge to move here, too. Many Aggie parents do. We are the Aggies, the Aggies are we. Gig 'em and God Bless! What a great post. You are so right. What a great town to raise kids. There is chivalry in other cities besides B/CS. Just sayin'. There is nothing unique in that regard at a&m that you won't find in any other Texas city. Welcome to Aggieland. My wife--who graduated from UT--also has adopted A&M and can't get enough of the game day atmosphere in College Station. Hope you make it to many more games. Welcome to the Aggie Family! WHOOP!!!!! Welcome to the Aggie family! I absolutely loved this post! I hope your son has a wonderful time at Texas A&M! The Spirit of Aggieland is contagious and you can't help but be joyful and I hope he and your family continue to enjoy it! I highly him recommend looking into Breakaway which is an amazing bible study held every Tues. at Reed. It is thousands of young Ags praying together and studying the word of God. A wonderful site to see and part of why I believe A&M is such a special place. God Bless and Gig em! breakaway is a fantastic group. Sounds like the true Spirit of Aggieland! When you attend other schools, you just go there...when you attend A&M, you become an Aggie & you're an Aggie for life. That's why our alumni group is called "The Association of Former Students"...because you're always an Aggie, you're just a former student. Hopefully your son will convert the rest of your family and they'll become Aggies for life as well. It's a trick you fools! Don't let them take your soul! Welcome to the Aggie family! Aggieland is truly the greatest place on earth.. I think what Sissy is trying to say is, not everyone gets into Texas. You got that right. And when some kids can't get into Texas, they end up settling for a&m. The juvenile angst displayed by both your comments demonstrates why people choose A&M over t.u. My oldest son started our love affair with Aggieland back in 1998. At the time, I did not know where A&M was. He went for a visit and 14 years later our youngest daughter became the fifth of our children to attend. We always look forward to trips there even though it's 700 miles from home and costs a bit. Love your post! Class of 2005- Whoop! Wow, that one brought tears to my eyes... at work no less! It took me back to my first days in College Station, and remembering the same discovery. People were "just nice" there. Growing up, my Dad was a UT fan -- I think because a) that was "the thing" to do and b) because one his best friend's went there. That all changed, much like it did for this woman and her family. After just a couple of visits and a football game, seeing me in my Corps uniform, and being able to bond with me about his days in the Marine Corps, it was all over. My dad fell in Love with Texas A&M for the same reasons we all did. On game day, he'd have the music up so loud in his apartment that you'd think that the Fightin Texas Aggie Band was all crowded into his apartment. Going to the "Red, White, and Blue Out" after 9/11 was one of my greatest memories of being with my Dad. He and I were so stinkin proud that day. I've often thought about moving back to College Station someday so I could "drink the water" (koolaid?) and be back among an entire town of people who are "just nice." That would be great. Fightin' Texas Aggie Class of 1993! Welcome to the Aggie family! 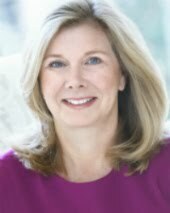 I'm first generation Aggie (1995, MD in 1999), and married an Aggie. We live in Nebraska now, but I hope to reestablish my Texas residence before my kids come of age. Welcome to the Aggie family! I was the first in my family to deviate from the Arkansas/LSU track and could not have been happier! It was truly the best four years I could have asked for! As an Aggie currently living in London, it makes my heart sing whenever I find stories like this. I'm so happy my beloved alma mater has made an impact on you. Welcome to the Aggie family!! I hope you can get good hot sauce and chips there!! Love it! Welcome to the Aggie family! Dr. R. Bowen Loftin '71 The President of Texas A&M mentioned this post in his weekly e-mail. Gig-em. the reason I just read this post. This is just great! Thank you I went to my first game and everyone was so nice. It was raining and we had bought ponchos at the $1 store and gave them to a few people around us. FYI-the $1 ponchos don't come with arms. If you want your arms covered you have to buy them at Academy. We laughed so hard! Howdy and welcome to the Aggie family! Gig 'em! 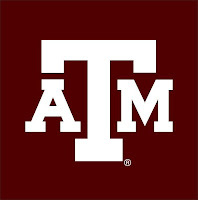 Our kids chose A&M as 4th generation Aggies, but their National Merit Scholarships could've gotten them in anywhere... One summed it up with, "Mom, I've seen Texas A&M; I LIKE Texas A&M; WHY would I want to go anywhere else?" Thanks for posting this! Proud to be an an Aggie and welcome to the family! Man I miss Aggieland! you all are better parents than us. Ben always said, even before our daughter wsa born, that she would go to A&M over his dead body~ ahahahahah!!!!! not really, but boy, he would have trouble with it, not going to lie. But, in all honesty, It's great that you put aside your personal perferences and respected your son's choices. I would hope Ben would have done the same thing - but Elisabeth didn't have the grades to get into A&M. Your son must be very smart!! Such a good story!!!! Your blog is the best blog in the world!! Welcome to the Aggie family! Gig 'Em! Not sure how I ended up on this blog, but I read it with a great deal of pride. My entire family have all been a students at A&M. Thanks for sharing this story, I enjoyed the read. Welcome and Gig 'Em. I went to Texas Tech and thought my kids would too. My oldest talked about being an Aggie from 4th grade (her teacher was an Aggie) The day I took her down to visit the campus we ducked into an academic building because it was raining. The lady working there wouldn't let us leave until she gave us her umbrella. Only in Aggieland! Now I bleed maroon. All kids went to A&M and married Ags! Whoop! I really like i have bookmarked your internet blog. It seems to be very interesting. You should keep uploading more in future for all of us.